Dr. Kenneth Wu was born in China with a defective heart and spent most of his childhood confined to bed. Doctors told him to accept a life full of limitations and he prayed for a way to regain his health, and vowed to dedicate his life to helping others if he could be healed. At age nine, his uncle suggested Traditional Chinese Medicine, including Acupuncture, Herbal therapy and the daily practice of Tai Chi. Ken's health improved steadily, and by the time his family immigrated to Canada, his life had turned around. He won the Gold Medal for Singles Badminton at the Alberta Winter Games when he turned twenty. After a medical exam later that year, the Edmonton Cardiac Institute recommended that he refrain from strenuous physical exercise and undergo surgery to replace his faulty aortic valve. Ken opted not to have the operation, continued his daily martial arts training, and began fulfilling his childhood vow. After earning a BSc. from the University of Alberta, he received a Doctor of Oriental Medicine (OMD) degree from the prestigious College of Oriental Medicine in San Francisco. In addition, he spent two years of internship in China. Altogether, he undertook nine years of training before he opened the Acupuncture Clinic in Red Deer, AB in 1986. 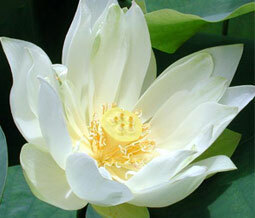 Since then, he has been successfully operating the clinic as an Acupuncture Specialist. His clinic offers Acupuncture, NAET Allergy Therapy, Herbology, and Iridology. Dr. Wu is a past member of the Labour Minister Appointed Acupuncture Committee of Alberta, a past member of the Grant MacEwan Advisory Committee (Acupuncture program), a past Continuing Education Chairman for the Acupuncture Society of Alberta, and is the Alberta Provincial Acupuncture examiner. 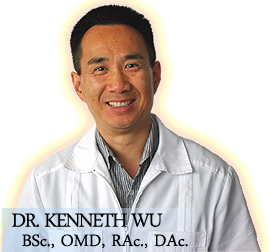 Dr. Kenneth Wu has also been practicing martial arts since the age of ten and became the Canadian Tai Chi champion in 1992, and the Canadian Tai Chi, Kung Fu and Traditional Weapons champion in 1994. Dr. Wu is the founder of Grand Master Wu's Tai Chi & Kung Fu Center in Red Deer, AB, offering beginner to advanced instruction in Shaolin Kung Fu and Tai Chi Chuan for health and self-defense. He also offers workshops on Chi Kung and Yoga. Dr. Wu has done numerous media presentations through television (CFRN, CFCN and Shaw Cable TV), radio (CKGY and CKRD), as well as many workshops/seminars locally (Novacor, Quinn and AGT), and internationally (Toronto, Houston, China and Hong Kong) . He is the author of Basics of Tai Chi and Basics of Acupuncture and currently hosts numerous Personal Growth Workshops and seminars on various aspects of Traditional Chinese Medicine and Eastern philosophy ranging from hour long lectures to multi-day workshops. In conjunction with Jeri Preuter, NAET, Master Herbalist, Holistic Therapist, of Aspen Springs Herb Gardens Ltd., Dr. Kenneth Wu is co-founder of an energetically balanced herbal formula line, which incorporates the ancient healing systems of Traditional Chinese Medicine, Ayurveda and Western herbology. Dr. Wu encourages people to assume responsibility for their own health through the practical application of Traditional Chinese and other ancient Eastern philosophies that emphasize the holistic nature of the mind and body. Dr. Wu's informational and hands-on workshops and seminars teach people numerous techniques on how to manage physical and mental stress, so they may enjoy a healthier, happier lifestyle at home and on the job.